Learn how planning ahead and being ready for the unexpected can be a special gift for your loved ones this year. During the holidays we all want to find the perfect gift for our family members that will show them our love and bring joy to their lives. But face it … in this age of consumerism most people already have more possessions than they need and we have sadly littered our planet with excessive material goods that no one wants or can use. Here’s an idea for a gift you can give now that will bring peace of mind and relief to your loved ones some day in the future: plan ahead for the end of your life, gather your most important documents, and have a conversation with the people closest to you about your wishes. Support this podcast on Patreon.com/eolu with a small monthly contribution. Thank you to my latest patron Jensen A! Your generosity is much appreciated! Creating an end-of-life file that contains all of your most important documents along with your wishes for healthcare and after-death care is a task that will benefit you as well as your loved ones in the future. You will be saving them from a great deal of stress and frustration if they won’t have to search for your papers or guess what you might want for yourself when you reach the end of life. Why not use the holiday season as a motivator to complete your file and offer as a gift of love to your family! Tune in next Monday for another new episode. If you enjoy this content please share it with others and consider leaving a review on iTunes. This episode is sponsored by Suzanne O’Brien and her training program for caring for others at the end of life at Doulagivers.com and by your generous donations on my page at Patreon.com/eolu! Join the team and receive special bonuses as a thank-you! Thank you to all of my patrons and sponsors! Your support means everything to me! What is the diagnosis and what complications have occurred? What is the effectiveness of the recommended treatment? What are the chances for recovery or improvement? Are there side effects from the treatment or will it cause additional suffering? What will happen if treatment is stopped? What would you do if this were your loved one? Ask your loved one for guidance by expressing your concern and your desire to make the best decision. Even though your loved one cannot verbalize, they can hear you – listen for any intuitive or “felt” guidance that might come to you about the best choice to make. Tune in next week for another episode! Share this content with others who might it helpful and consider leaving a review on iTunes. Learn how answering just one question can simplify your decision-making process for end-of-life planning. You can still join my online reading group for 2018 “A Year of Reading Dangerously” and read a book each month on death, dying and the afterlife. Sign up here. Thank you to all of my supporters on Patreon.com/eolu! Your donations mean a lot to me! Putting our wishes for the end of life into writing is more complicated than it seems. We can easily get lost when we start to consider all of the options available and make decisions about what we do or do not want for care during out last days. That one question changed everything for us and her answer guided all of the decisions that we made together as a family for the next five years before her death. I have spent time thinking about the one question myself and it is clear to me that the only thing that will really matter to me when I am ready to die is love. I will want to be as near as possible to the people I love. Imagine your last moments of life: how do you want it to be? Describe what you see in positive terms first: Who is with you? Where are you? Keep it simple to avoid being overwhelmed. Just a few details are all you need to describe. Finally add your 2-3 absolute DO-NOT’s to the picture. What do you definitely NOT want to have happen during your last moments? Again – limit the number to those things you feel strongest about. Your family will remember 2-3 requests but not 10-12. Start talking now about your positive vision for your final moments and let your family know what you envision. When you engage them in your vision they are more likely to help you create it. They will have had time to think about your vision and to imagine themselves being part of it. No matter what start thinking about the end of life now. It’s never too soon to get your plans in order! Consider signing up for the Step-by-Step Roadmap for End-of-Life Planning if you’d like to have a doctor by your side as you make decisions for yourself! Remember there will be a new episode next Monday! If you enjoy this content please consider leaving a review on iTunes (Thanks!!). Learn about Molly’s innovative workshops on end-of-life planning that utilize art projects to inspire deep conversations. In this episode I share an interview with Molly Stuart who is a lawyer, artist, chaplain and hospice volunteer. She teaches a wonderful workshop on end-of-life planning that includes art to help people uncover their deepest values and concerns. Learn more about Molly’s work here. The month of April features National Healthcare Decisions Day and in honor of that event I am sharing the 10-day S.M.A.R.T. Decisions Challenge – a free challenge that will help you get your end-of-life planning done with guidance along the way by email. You can still sign up for A Year of Reading Dangerously if you’d like to read one book a month with us about death and dying! Sign up here. 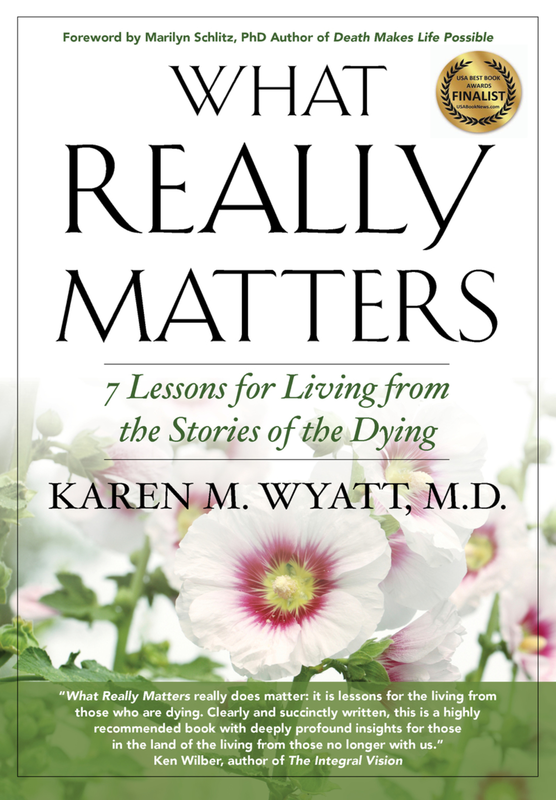 Get the Teaching Guidelines for a Death & Dying Class and you’ll be on the list to hear about upcoming Work Groups and a Mastermind Group for Death and Dying Class teachers. Download the guidelines here. Thank you to my latest supporter on Patreon.com/eolu: Kathy Lynch and thanks also to Cathy Duke for increasing your pledge! I’m so grateful for your contributions! Remember to tune in every Monday for a new episode and if you enjoy this content please subscribe and leave a review on iTunes!